Well…I’m off to Japan for the first time. I’m a bit tired but what do I expect after having only a few hours sleep. Now it is “air-time”…10 hours on the way to Japan via a 747 over the Pacific. Merlyn and his nephew Mike have been filling me in about what to expect…I don’t know whether to scream “YES” or whether to catch the next plane home. Why is food the one thing that always gets you when you are on the road? Well…I should qualify that…why is food the one thing that gets ME when I’m on the road…that’s easy to answer – I’m a picky eater…no fish, fishy stuff, fishy look…oh well. As I’ve told Vicky and so many others, now is the time to be a gracious guest even if it means I have to be a test eater on what appears to be something that is going to jump off the plate…“it’s alive”. The ministry and spiritual development opportunities are going to be huge…Japan is NOT a Christian nation (like the USA pretends to be)…it is obviously a culture caught up in issues that are FAR away from a lifestyle of discipleship. So, now is the time to talk to some people who have been living what I’ve been telling folks we are getting close to living…“strangers in a strange land”. That’s exciting…I haven’t experienced it before…so to talk to and fellowship with brothers and sisters who have fought the good fight and stood strong for Jesus in the midst of hostility or simply “I don’t care about what you believe” attitudes. Truthfully, I’m looking forward to that more than anything…miss my pal and wife already though…don’t like to have these new experiences without her…but I knew the moment that the opportunity came up that this would be a journey I would taking alone! So, here I am crammed into a small economy seat on a big plane (oxymoronic?) a third of the way across the ocean to a new land. I’ll be back to this later after we land…trying to take some pics and stuff…not much happening now…long long long long plane ride. Did I mention how long the flight is? 8 more hours have gone by…I’m still on the plane…yep, 40K…my seat in eternity! I hope I don’t have to sit on some cloud for eternity…I’d be ready for ANYTHING except that! A few moments ago, I had my first meal…besides the breakfast sandwich I had in “Frisco”…I have always loved calling San Francisco “Frisco” because the bay area purists hated it when someone said “Frisco”. Anyway, I had my choice between an italian pasta meal and the “japanese” vegetable plate with noodles…so, daring man that I am, I jumped in on the japanese plate…noodles and some sort of sauce with some veggies that I recognized and some I didn’t. To make sure I knew that I would survive it, I bought a glass of white wine to wash it down. Well, to my surprise it was good – for airline food. In addition, the flight attendant gave me the wine for free. So, it is all good. I ate my yogurt, drank my wine and decided to immortalize the meal with this post. We’ve also had a couple of movies on the plane – “Cloudy with a chance of meatballs” was great…“Four Christmases” was unwatchable (I read my Kindle instead – thanks Honey – you were right, I love it! )…and 500 summers is lame too. So, I’m reading Dan Brown’s new book which “explores” freemasonry. I’m sure every word of the book is true…just like the Da Vinci Code and Angels and Demons – right!?! 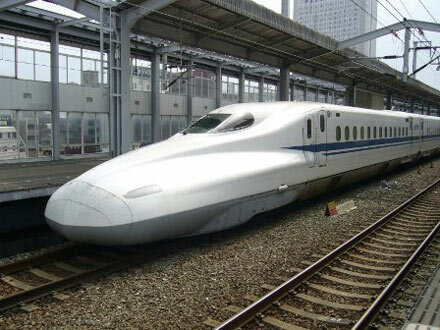 We arrived in Tokyo and took a "bullet train" to where we will be staying all week. We are staying in a log cabin of all things that is a guest house of the church. Gracious hosts picked us up from the train station and, after a short car ride home (in a Honda Odyssey that didn't look anything like the Odysseys in the USA) we sat around the dinner table and drank Green Tea and ate rice cookies. Had some chicken on the train…can't really say much more about it than that…also had a Diet Coke (what do you expect) in about a "one ounce" bottle…no, more than that…but not much more! Tomorrow morning is worship…a two to two and a half hour service than some fellowship time. So, I'll report more! Thanks for all your prayers…I'm feelin it! ← Japan – a trip of a lifetime!